Have you decided which of the new accounting frameworks your or your client’s organisation should follow? The removal of UK GAAP makes a decision necessary and to make it you’ll need to be aware of the key differences between FRS 102, FRS 101 or full IFRS. The decision should be made based on the specific accounting situations you or your client face, as one framework won’t suit all businesses. you will be in a position to decide which framework best suits your organisation. You can review this course using the questionnaire in the course completion area. •	What are the different strategic approaches to financial reporting? •	How are different levels of guidance provided by each reporting framework? 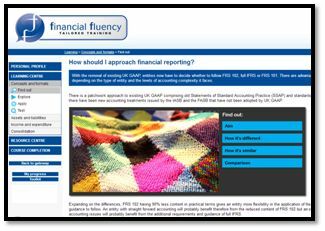 •	What are the differences in formats and documents required by each reporting framework? 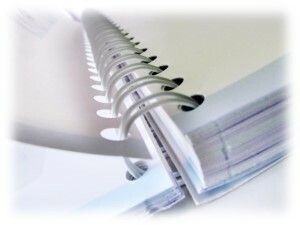 •	What are the different levels of disclosures required by each reporting framework? •	What are the transitional requirements to a new reporting framework? •	What are the different reporting and disclosure requirements for financial instruments? •	How does the IFRS developments in financial instrument reporting effect these differences? •	How do these different approaches impact the financial statements? impacted by the current developments? 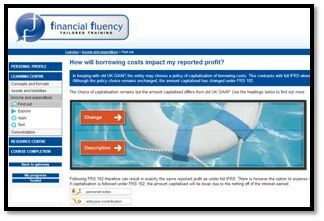 •	How is reported profit impacted by the different approaches to borrowing costs? in accounting for employee benefits and share based payments? •	What are the similarities and differences in accounting for deferred taxation? •	What is the impact of foreign transaction on reported profits and reserves? 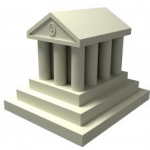 •	What does the disclosure of related party transactions state? •	What accounting is required for events after the reporting period? •	What are the different approaches to establishing control? •	What are the different approaches to the initial recognition and subsequent measurement of goodwill? •	What are the different consolidation exemptions? •	How do I account for acquisitions and disposals and related gains, losses, surpluses and deficits? Lincoln Miles is a professional financial reporting trainer who has provided accountancy training for 15 years. Lincoln specialises in UK GAAP, IFRS and US GAAP and runs a training and consulting business that provides services in the UK, Poland, Bulgaria, Greece, Slovakia, Romania Czech Republic and the Channel Islands. Learners take their own route through the topics covered in the course. They will learn at their own pace through a variety of activities designed to accommodate a range of learning styles. 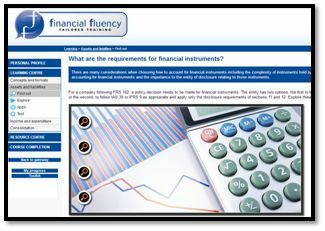 FRS 102: How will the numbers change? 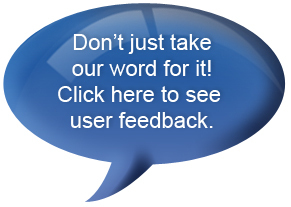 Please review our Frequently Answers Questions (FAQs) for answers to the most common questions we receive (opens in a new window). Click on the Buy Now or Add to Cart button above to make your purchase via credit or debit card. Your payment will be collected securely via PayPal. Please note that a PayPal account is NOT required to process your payment (simply click on the option to pay via credit or debit card). 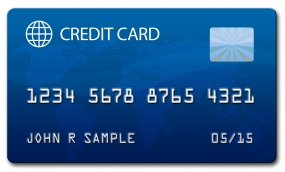 No surcharge will be levied on card payments for purchases. You will automatically be emailed a receipt after your purchase. Your service with Financial Fluency commences once your payment is processed. You have the right to cancel your order, less an admin charge, from the time of purchase for a period of 7 days provided you have not accessed the course. If you have worked through any of the course content you will not be able to cancel your order. Please read our full terms and conditions before purchase. If preferred you can pay via bank transfer (BACS / EFT / Online banking). Please complete the form below and we will send you an invoice with our bank details. If using our shopping cart, you can view the cart and checkout here. You will receive 3 or 12 months (depending upon your chosen option) unlimited free access after payment of a one off registration fee. Each course takes approximately 4 hours to complete. Once you've completed the course you will be able to claim 4 verifiable CPD hours, if required. CPD points are claimed by the registered user, who can be someone different to the person who pays if required. VAT will be calculated and added automatically during the checkout process (and before any payment is taken) based on your location. VAT is applicable at the prevailing rate for customers within the EU. VAT will be added during checkout at the rate applicable to your Country. For customers outside the EU, where UK VAT is non-applicable, the checkout will automatically detect your location and VAT will not be added. For customers in the Channel Islands please contact us in advance of purchase. You will be emailed instructions of how to access your course and an activation code within one working day, usually a few hours. Do you wish to pay in a different currency? 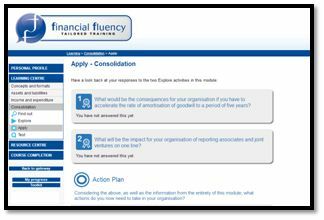 Simply email support@financialfluency.co.uk with a list of the courses you wish to purchase and your chosen currency and we will send you an invoice in your desired currency. We've had 1,000s of satisfied customers from all over the globe complete our online courses and we're confident that you'll be satisfied too. Our online courses comes with a satisfaction guarantee so you can be confident that you'll receive value for money. We regularly monitor the market and believe that we continue to offer the best value online courses. We will happily beat any competing offer of the same quality. or add to cart button on each page. We use PayPal to process our card payments. Click the logo below for more information.